Professor Ewen has held the position of Associate Dean (Indigenous Development) since its inception in 2010. In this role he was charged with working across the faculty to oversee the implementation of the Reconciliation Action Plan. 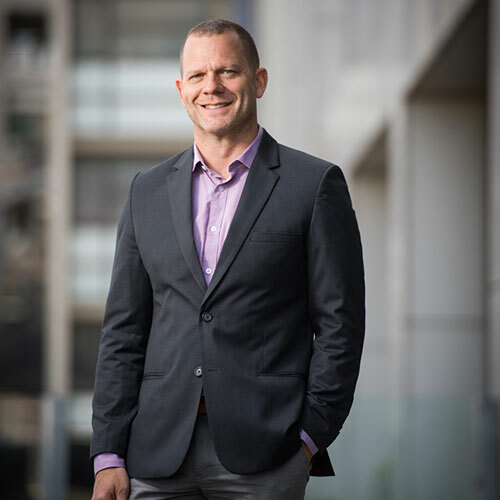 Professor Ewen is the Foundation Director of the Melbourne Poche Centre for Indigenous Health in the Faculty of Medicine, Dentistry and Health Sciences. As Foundation Director, Professor Ewen will provide academic leadership to the Centre and maintain a strong sense of Indigenous leadership in the health and higher education sectors. Professor Ewen has a clinical background in physiotherapy, and holds postgraduate qualifications in international relations and education. His area of research expertise relates to Indigenous health and health professional education. Currently he co-leads an Office of Teaching and Learning project investigating how to assess Indigenous health curricula at AQF level 9, and is the recipient of multiple teaching and learning development grants at the University of Melbourne, and the University of British Columbia. Professor Ewen provides the academic and Indigenous leadership for the Leaders in Indigenous Medical Education (LIME) project, a bi-national project of Medical Deans Australia and New Zealand. Professor Ewen was awarded the School of Population Health Award for Excellence in Teaching and Learning in 2005. In 2010, he led both the successful Onemda team and the LIME team for the Melbourne School of Population and Global Health in the in the Norman CurryAward, for Innovation and Excellence in Education and Excellence in Knowledge Transfer respectively. In 2011, he was the recipient of the Rio Tinto award for Excellence and Innovation in Indigenous Higher Education.